The Big Olive’ produces the Premium Extra Virgin Olive Oil at The Big Olive Processing Plant straight from the juice of the olive harvested from its fields within very few hours i.e. within 24 hours, to produce the highest quality with the most amount of anti-oxidants and preserving the great health benefits associated with the freshness which is maintained in the nectar to produce an acidity truly well below the 0.8% acidity and in most cases below 0.5% and with some cases as low as 0.2%. The aroma and constitution is maintained in stainless steel vats at the factory within meters of the unique ‘Senolia’ processing machine. 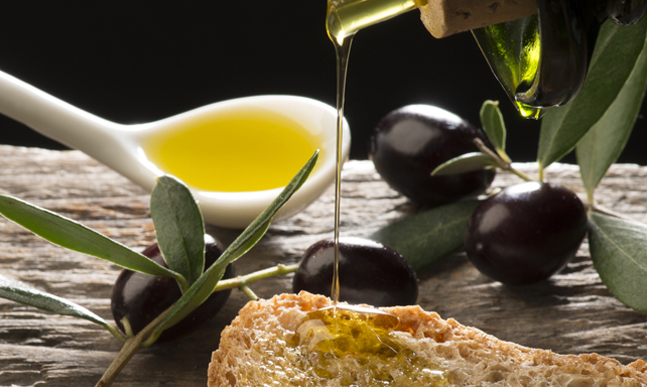 The Blending process of Extra Virgin Olive Oil is an exciting adventure every year as we produce the characteristics required for the markets and cuisines around the world. We believe Extra Virgin Olive Oil is about blending different varieties to enhance their flavors and produce different blends to compliment and enhance different dishes. The Big Olive boasts some 17 different varieties in its orchards which means we can create the most sophisticated blend to the most discerning palate and any cuisine companion. 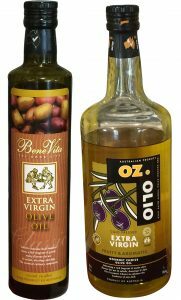 It is important to differentiate between “oil varieties” and “oil quality”. Two different olive tree families produce different olive oil varieties, each one with a different colour, aroma and flavour, but both can have the same quality, because quality depends on a combination of factors, such as climate, the type of soil, the care taken during the production process, storage, etc. 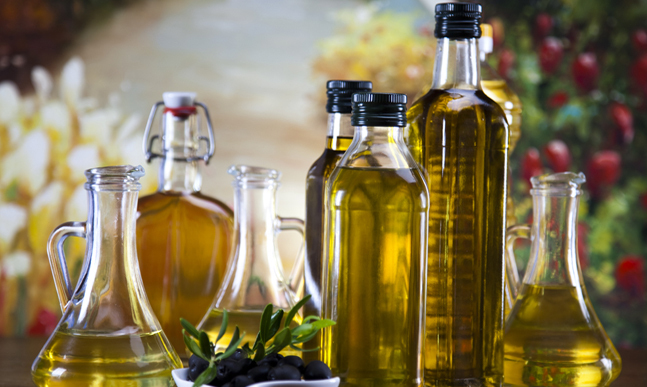 Olive oil is a natural product; a real “fruit juice” compared with the vast majority of vegetable oils which are extracted from ground oily seeds and therefore need the help of solvents. peroxide index This determines the initial oxidation of the oil and the deterioration of the natural antioxidants, such as tocopherols and polyphenols, may have suffered. ultraviolet absorbency This is used to detect any oil’s abnormal component. organoleptic characteristics (sensations sense organs can detect, mainly related to smell and taste) They are defined by experts by tasting. Each type of tree, depending on the producing area, has a different variety of fruit and therefore produces an oil with different chemical and organoleptic properties. And within the same variety, different oils are produced depending on factors such as microclimate, the type of soil, altitude…etc. 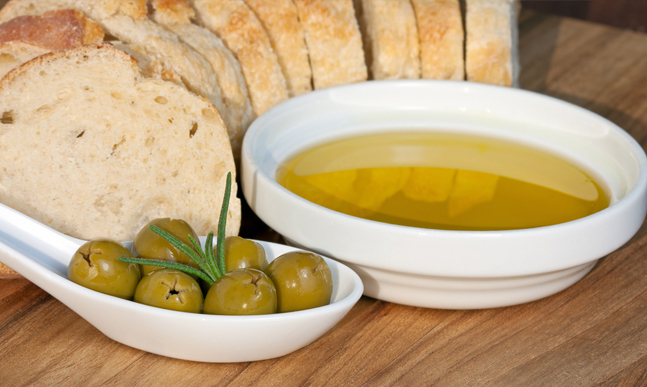 Tasting is therefore necessary to appreciate the character and personality of the olive oil. Tasting tells you the characteristic aroma and flavour of each oil. It is important to realise that THE COLOUR DOES NOT REFLECT THE QUALITY, which is why professional tasters use a dark blue glass so that they are not influenced by the colour. An olive oil’s aroma is appreciated by, gently heating the glass and breathing in the fragrance several times to compare it with a vegetable aroma (grass, fruit, etc.). As far as flavour is concerned, a few drops are enough to notice the oil’s sweetness. An acid flavour is detected towards the Centre of the tongue and when the oil is in contact with the palate. Bitterness or a peppery flavour is noticed at the back of the mouth. Tasters normally pour a little oil onto the tip of their tongue, and then, by breathing in slowly and continuously, the oil covers the whole palate and then goes back towards the throat.  Mild: This is neither a negative nor a positive attribute of the oil whose organoleptic characteristics are very weak, as its aromatic components have been lost. Sweet: This is a gentle and pleasant flavour of the oil, which is not exactly sugary, but the bitter, astringent or peppery attributes do not predominate. Fruity: It reminds us, of the aroma and flavour of healthy fresh fruit picked when it is just ripe.